You have great products. Products your customers love. So why not keep in touch with your customers and build a strong relationship with them via email? Why do you need an email marketing customer list? Well-crafted email lets your customers know what’s going on with your business and what they can look forward to in terms of new products, promotions, and more. If you’re not fully convinced that you should start emailing your customers, consider the volume of people using email. By the end of 2019, there will be more than 5.6 billion active email accounts, according to Statista. With that kind of potential reach, an email list is starting to look pretty good, right? What is a customer email list used for? Using a customer email list, you’re able to send your customers coupons, promotions, and invitations to in-store events at which customers are more likely to buy after browsing online. Each of these messages can act as a prompt to make a visit to your physical or online store. A customer email list also allows you to build credibility with your customers by showing your expertise in your particular area of business. For instance, if you make tables from recycled wood, you could email your customers about your process, including the different types of wood you use and how you build and stain your tables. Your customers will appreciate the information and see you as an expert in your field. A tried-and-true method for building your online email list is to offer free content (also known as lead-generation offers) in exchange for a customer’s email address. Such free content can include white papers, ebooks, recipes, coupons, and/or free delivery for a first purchase. When it comes to your website (and even your blog), make sure both are optimized to encourage people to sign up for your email list. You can do this by including an email sign-up form at the bottom of your blog posts and in the header or footer on every page of your website. Include social sharing buttons in your email and blog posts so when your current customers love your email so much they want to share it with their friends and family, they can do so easily. And make sure to include an email sign-up form in your email so that if it’s shared, potential customers can easily sign up. It’s important to note that you can collect email addresses online through Square’s hosted sign-up page and embedded sign-up form using your Email Collection Tool. The hosted sign-up page gives you a unique URL that can be shared on social media or on your website. The URL takes your customers to a dedicated landing page where they can share their email address. The embedded sign-up form provides you with an embeddable widget for your website where customers can provide their email address. Your online Square Dashboard has a block of HTML code that can be copied and pasted into your website editing tool. Square also automatically collects customer emails on your behalf. 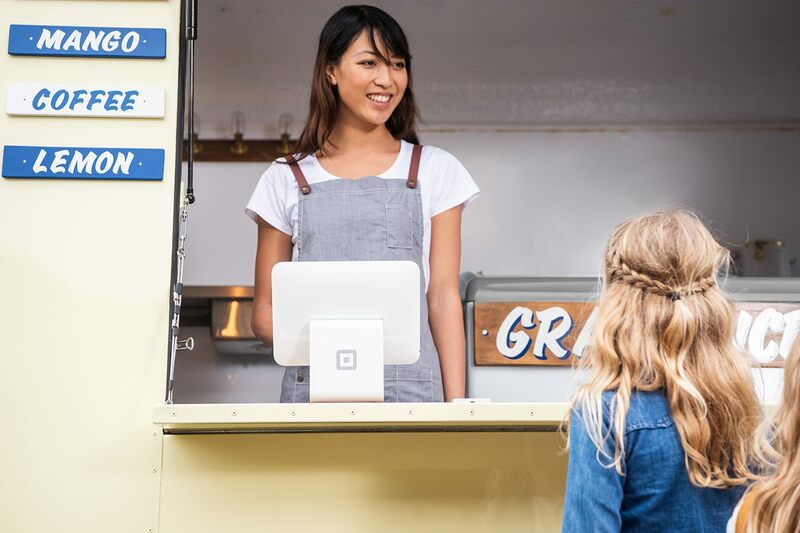 If a customer elects to receive a digital receipt via email, you’ll be able to reach out to them through Square Marketing. This is a powerful and convenient way to grow your list of reachable contacts. Building an email list can happen offline as well. With your Square Point of Sale app, you can enable the email collection screen via Settings > Email Collection > Show Email Collection Screen. As soon as you enable the email collection screen, you can start gathering your customers’ email addresses. It’s really that easy. Another great way to gather email addresses offline is by having in-store events that encourage new customers to come into your store. In the store, you can offer an incentive for people to provide their emails, such as a raffle or a contest. Of course, you can always have an email sign-up form in your store as well as any time you sell your goods at a flea, holiday, or farmers market.